Of all the photos I took for the Chictopia x Victoria's Secret PINK campaign, I think these ones are my favorite. 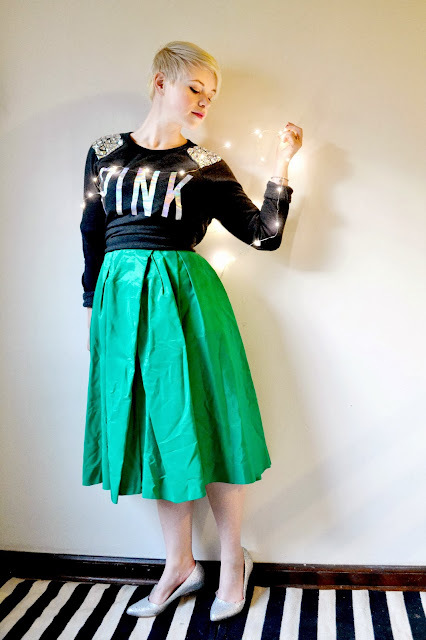 They're exactly what I had in mind when I decided to style the Bling Crew Sweatshirt for a holiday party. 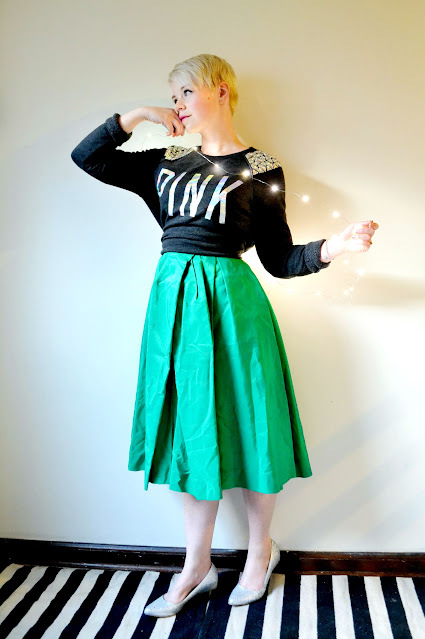 I put it over top of my 1950s satin Christmas dress and it was like magic! Don't be afraid to belt things, tie things, or even just tuck & roll! 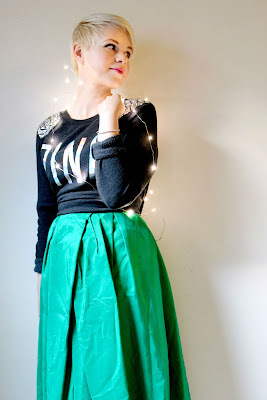 i really love those mini lights and your sweatshirt is just darling!